for Information via the 5 Senses. 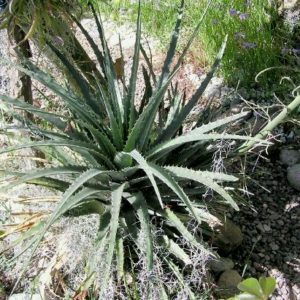 Hechtia ( Heck-tee-ah ) are large, beastly plants with razor sharp, serrated leaves that easily pierce the skin. Hectia grow in arid or rocky environments and are natives of Mexico, Central America and Texas. The genus is named after Julius Gottfried Conrad Hecht ( 1771–1837 ), who was the German counselor to the King of Prussia. 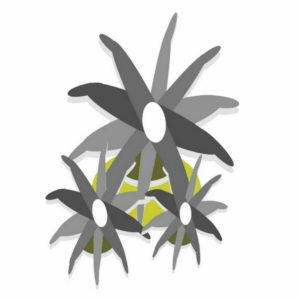 Botanical Archetype – NEGATION of Information, Ignorance of Fact, Problems caused by Ignoring the 5 Senses. Nature of Issue – INFORMATION from the 5 Senses. Oblivious to the causes of the problems in your life. Mentally disconnecting from reality in the past which have caused you to go blind to the problem. Denial, rejection and refusal to face basic facts. Primary Emotion / Emotional Symptom – DENIAL / IGNORANCE. + Disconnected, Unaware, Oblivious, Overlook, Miss, Deny, Ignore, Refuse, Resist. – Aware, Acknowledge, Accept, Informed, Know, Learn, Knowledgable. Lesson – We look to the mind for the answers to problems the mind has created. Rather we should look to the 5 senses to tell the story about life, as it now is. Hechtia help to reconnect with ‘lost consciousness’ and thought patterns that are within ‘active consciousness’. Hechtia helps to become aware of underlying problems, accept their reality and then become aware how best to deal with them. 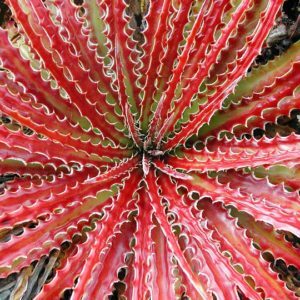 Hechtia combine well with Genus Neoregelia, Brochinnia and Encholerium. 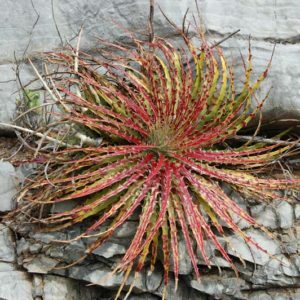 This is the botanical symbol for genus Hechtia. It is found in all of our books, clinical manuals, flower notes and charts.